Mile High Academy's Enrollment Doubles in Four Years » "It's almost unheard of that Adventist schools can transform from closing to growing," says Toakase Vunileva, principal of Denver's Mile High Academy. 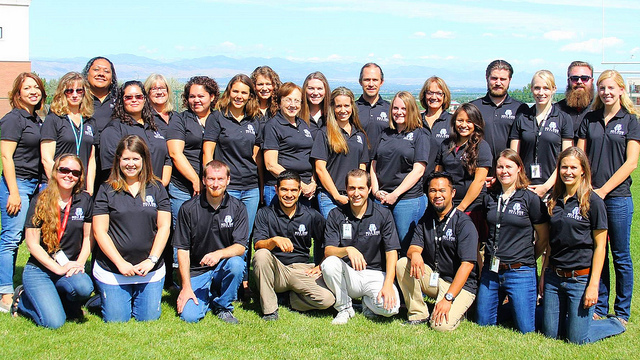 The possibility of closing the institution was a stark reality for Mile High Academy during the 2012 school year when she joined the team of education professionals in the Rocky Mountain Conference. "However, I proclaimed the promise from the Gospel of Matthew 19:26 that "with man this is impossible, but with God all things are possible." Vunileva--referred to as Kase--believed that God was not done with Mile High Academy. He was waiting for a community and people to lay hold of His promises to see just how great God is she said. The remarkable enrollment turnaround took a lot of prayer and hard work and a community willing to help turn the ship. "This is the community I have found at MHA, ever-resilient, ever-faithful to the mission of providing an excellent education in a Christ-centered environment that empowers young people to excel. Preparing for the first day of the current school year, Kase analyzed the opening and closing enrollments for the last few years. Recognizing what it takes to go from an ending enrollment of 138 to an ending enrollment of 229 in just four years, she acknowledges a team effort and the involvement of a large community supporting the school. Kase lists the following contributing factors -- MHA has a team of Christ-centered teachers who reflect Jesus in their everyday lives, teachers committed and dedicated to growing in their own learning. Further, the principal believes that the school's growth has involved educators who are passionate about helping their students learn, as well as outstanding families who work with the school to build up the students and the school. MHA is blessed with a supportive board and partners willing to support excellence in all areas, along with their creative marketing and PR director, Agape Hammond, who makes MHA visible throughout the school's community. We are blessed to open the school year with 239 students and we look forward to what God is going to do in and through our students. We invite you to pray for our journey that we can continue to impact our community in the coming year," Kase added. 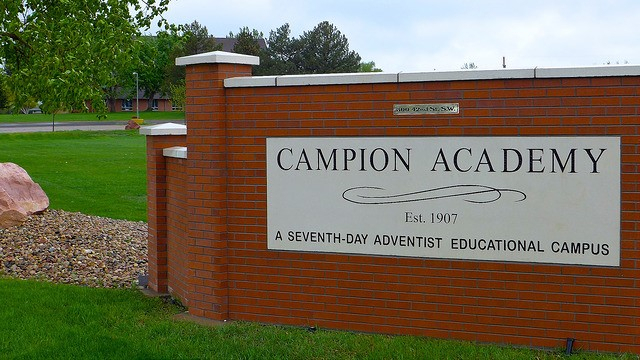 Campion Academy Enrollment Grows to 155 » With praise and thanks to God, Campion is happy to announce an opening enrollment of 155 students -- 20 students greater than last year. The faculty and administration have made this a matter of prayer over the past year as they worked on improving communication, academics, and Campion's spiritual emphasis. The Rocky Mountain Conference has been supportive in our growth with some good-natured challenges aimed at our recruiter, Jessica Rios, who has been recruiting in Colorado, Wyoming, Utah, New Mexico, Nebraska and Kansas throughout the year. During the summer, RMC president Ed Barnett asked Jessica for a recruiting goal and promised that if she beat it, he'd shave his head. Confident in God's provision, Jessica asserted her goal for 150 students and promised she'd shave her head if Campion enrolled any less than that. "Our conference supports our educational facilities," said Barnett, "and it was important for me to do it in a visible way. This will be the best haircut I've had," he exclaimed. At a recent teacher's convention in early August, RMC education superintendent Lonnie Hetterle and RMC ministerial director Craig Carr bought a wig for Barnett to prepare him for his impending hair loss. Now, with Campion's enrollment well beyond Jessica's goal, Barnett will have to succumb to the razor sometime soon. Health Summit Focuses on Diabetes » Diabetes -- it's a scary word for many, and well it should be. Despite recent advances, diabetes continues to be a major health threat for at least 29 million Americans who have it and the 86 million Americans who could develop it. For those who have diabetes, 1 in 4 don't even know it. Many others will become diabetic if something isn't done. But there is hope and you can be the channel that delivers it. The Rocky Mountain Conference health department is taking this disease seriously not only for our members who are afflicted with this epidemic, but for those in our neighborhoods whom we can help to discover how to improve, prevent and even reverse it. That is why we are not only sponsoring, but promoting a unique health summit this October in Breckenridge, Colorado -- the Give Them Hope Health Summit. Some of the best experts in the field of diabetes and its related nutrition and coaching are being assembled to train church members and medical professionals in the most proven and effective lifestyle options available. This unique summit will do more than just provide information. It will include discussion groups and break-out sessions for planning and applying the material. If you are about reflecting Christ's character to your world and hastening His coming, you are invited to be a part of this outreach training. Miguel Weckman sees possibility everywhere he looks. Born in Mexico, he came to the United States when he was three years old. The intervening years saw him living in Wyoming, New Mexico, Denver and Mexico again. Returning to the United States after his last stint in Mexico was a challenge. "Mexico is like a third-world country," he explains, [so] "it was difficult to adapt." He had to adjust to a second language again and the schools he'd attended held varying levels of scholastic standards. Add to that the three months he spent out of school, recuperating from a vehicle accident and it becomes easier to understand his frustration. "But I tried hard," he exclaims. In Denver, he was attending the KIPP Collegiate High School, a tuition-free, college-preparatory public charter high school in Southwest Denver, ranked 1 of 43 high schools in the Denver public schools when his cousin, Julio Chavez, a recent graduate of Mile High Academy, told him he should try to get into MHA. Miguel is a fourth-generation Adventist, so he knew about Mile High Academy, but had never considered attending. Besides, he didn't have the money for such a venture, but something clicked and he determined he would do whatever it took to be a student there. 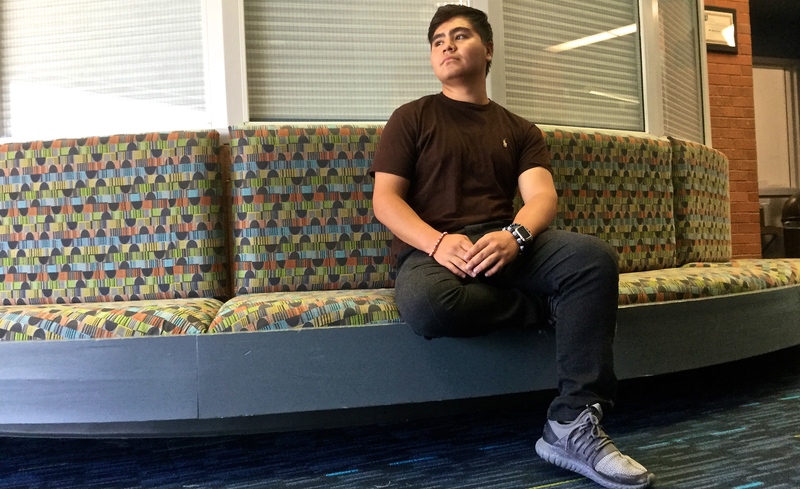 "I see things as reachable always," Miguel says as a way of explaining why he spent his summer earning money to go to school instead of, like many teenagers, earning money to buy a car. Working for a landscaping company, he put in 60-hour weeks hauling wheelbarrows full of sand, planting and cutting grass and beautifying landscapes. Making $12 an hour, he was able to amass enough money to pay his registration fees and first month at MHA. "My mom always told me to trust God," Miguel explains and then adds, "She told me to be a good boy and to be respectful." His soft-spoken greeting and friendly handshake when we met told me that he has listened well to his mother's admonitions. The hard work for Miguel isn't over yet. His school days begin at 9:30 a.m. and finish at 3:30 p.m. He practices with Mile High's soccer team from 4-6 p.m. and is looking for a new job to fill the rest of his evening. He thinks five hours a day should about do it. He has heard that Denver's Porter Hospital hires young people for serving food to patients and that's the job he's going for. "I'm a dream big type of guy," Miguel explains when asked about his plans for the future. "I'll try to get into Andrews University, study business, go into real estate for a few years, get money and build up from there." In an essay he wrote, a philosophy of life of sorts, Miguel says, "Remember to put God in first place because he is the one driving you to success, but don't leave him all the work, don't sit down because success is no accident, it is hard work, studying, learning, sacrifice and most of all, love and respect to the people around you." Denver West Church Seeks Musicians » The worship team at Denver West Church is looking for talented musicians to add to their team. If you are a flutist, pianist/keyboardist, violinist, guitarist, etc., and love to worship our Creator God with all your heart, soul and talent, contact Ben at 720-290-0781. Blazing Youth Connections » Patrick Dixon will speak at the next The Blaze Worship Night at Chapel Haven Church at 7 p.m. Friday, September 2. Blazing Youth Connections youth leadership committee is looking for people interested in speaking or leading praise songs for worship nights held the first and third Friday night each month. If you are interested, contact Nikki Yoshida at 720-281-4207. Blazing Youth Connections Barbecue will be held from 1-3 p.m. Sunday, September 4, at EB Rains Park, 11701 Community Center Drive in Northglenn. Come for a devotional, food, fun and games. To RSVP, call 720-281-4207 by August 31. Black Hills Spiritual Retreat » Black Hills Health and Education Center is holding a spiritual retreat September 2-5 under the theme "Foundations of Health & Happiness". Featured speakers include Chad Kreuzer of Anchor Points Films, Dan Gabbert, morning devotional speaker, and Henry and Arlene Stubbs of World Youth Group Ministry in Cuba. Enjoy a Sunday afternoon cooking school, beautiful hikes around the campus, great fellowship with fellow attendees and delicious, plant-based cuisine. Call for room and meal reservations at 605-255-4101. Greeley Church » Calvin Taylor, gospel recording artist and, will present a piano concert in the Greeley Church at 7 p.m. Wednesday, September 7. Titled "Holy Scripture -- Alive With Sounds of Music," this is a musical program you and your family will not want to miss. The Greeley Church is located at 1002 21st Avenue in Greeley. 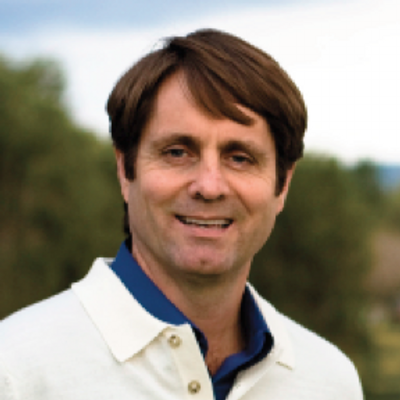 For more information, call Jerry Oster at 970-208-3585. Fort Lupton Prophetic Code Seminar and The King's Heralds Concert » At 6:30 p.m., September 9; 6 p.m., September 10; and 6:30 p.m., September 11, Amazing Facts' "Cracking the Prophetic Code" is coming to Fort Lupton Church. Admission and the children's program are free. To pre-register, call 720.466.5634 or go to ftlupton22.adventistchurch.org. Don't miss The King's Heralds in concert at 7:15 p.m., Saturday, September 10. The seminar and concert will be held in the Fort Lupton Seventh-day Adventist Church auditorium, located at 900 Northrup Ave., Fort Lupton, Colorado 80621. Hebrews: Made Plain » The study of the biblical book of Hebrews, which offers a message of hope and presents a God who's in control of history and of our lives, will take place at Springs Adventist Academy beginning at 6 p.m., Tuesday, September 13 and continue each Tuesday evening at 6 p.m. This newly researched and updated series is presented by Dr. Jack Bohannon, a PhD in Public Communications. The seminar outline and copious handouts are free. Bring your Bible to verify the things studied. No admission charge; no offerings. Springs Adventist Academy is located at 5410 E. Palmer Park Blvd. (Cora Lane), in Colorado Springs. Host Shadow Empire at Your Church » The Voice of Prophecy’s Shadow Empire series returns September 15-17 to local churches, and pastors will again have the opportunity to be the event co-speaker with Pastor Shawn Boonstra. This series, which addresses modern-day religious freedom by exploring the life of Constantine the Great, was filmed on location in Europe and the Middle East, and offers a fresh, Bible-based perspective on historical and current events. Pastors can find all the details they need at www.ShadowEmpire.com/Event. MHA Mustang Mosey » Mile High Academy is holding its 3rd annual Mustang Mosey 5K Family Walk/Run & 10K September 18. Register online at racemenu.com/mustangmosey2016. Proceeds go to Christian education/annual fund. 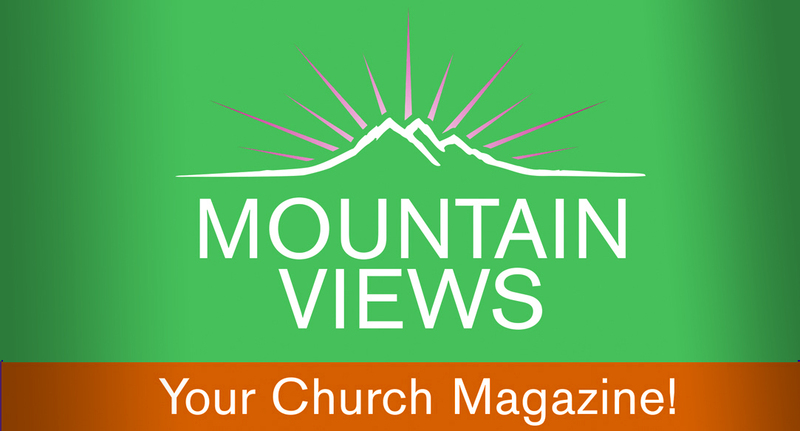 The conference-wide women’s retreat at Glacier View Ranch, September 16-18, will feature Elizabeth Talbot, director of Jesus 101 Biblical Institute, and the author of several books. The retreat will include praise and worship music, inspiring skits, book giveaways, friendship circles, Saturday night activities, and a service project opportunity. The Adventist Book Center will feature a display of several publications by Elizabeth Talbot for sale. Registration and information brochures were sent to Women’s Ministries leaders in participating churches. Call or email Ginger Bell for more information, and to receive a brochure via email, at 720-980-9006 or [email protected]. Registration deadline is September 1. 2016 Western Colorado Men's Advance » Join us in Pitkin for our Jeep trip as we pray, study, fish, hike, and enjoy the colors in the mountains, September 16-18 (tentative, based on snow melt). Learn how to restore relationships with ourselves, others, and God. Study and prayer time held on Friday evening and Saturday. Bring your Jeep, motorcycle, mountain bike, fishing pole, hiking shoes, and Bible. Meals and rooms included in the flat fee of $170.00. To register or for more information, contact Wayne Oldham at 970-209-7911 or [email protected]. La Vida Camp Meeting » Celebrate 100 years of Adventist Mission in Navajo Land, September 16-18, at the 2016 La Vida Camp Meeting. Our guest speaker is NPUC Native Ministries Director Pastor Monte Church. Attendees will stay in our guest house, dorms, and staff houses, or you can bring tents or RVs. Please call or email to reserve your spot with us at [email protected] or 505-215-6642. Seeing Jesus through Muslim Eyes » The Seeing Jesus through Muslim Eyes seminar, 2 p.m. on September 17 at the Denver South Seventh-day Adventist Church, will equip attendees for reaching out to Muslims, helping to fulfill the Gospel Commission. Gerald Babanezhad, Coordinator of Muslim Outreach at Pacific Union Conference, will share the historical setting and perspective of Islam, the role of the Adventist Church in sharing the Three Angels’ Messages with Muslims, Muslim's understanding of Seventh-day Adventists, testimonies and much more, followed with question and answer session. Location: 2675 S. Downing St., Denver, Colorado 80210. For more information, call 303-744-1271. Senior Weekend » New Beginnings Ranch is holding a weekend camp just for senior citizens the weekend of September 22-25. The weekend will feature a reasonable pace, great food and incredible scenery along with Jim Burr sharing his knowledge of astronomy and Jesus. Located near Telluride, the camp has tent and RV sites on a donate-as-you-can basis. They also offer cabins for $40/night (senior discount). Highlights of the weekend include a day trip to Ouray for waterfall viewing, hiking and soaking in hot springs. Grandparent's Day » Grandparents of Mile High Academy students are invited to spend the day at Mile High Academy with their grandchild. You will have the opportunity to eat breakfast, attend a special chapel, visit your grandchild's classrooms, meet their teachers, and more. This 8:30 a.m. to 3:30 p.m. September 27 event is your opportunity to become better acquainted with your grandchild's world at school through a peek at their day-to-day experience. For details or to save your spot, call 303-744-1069 or save your spot online at milehighacademy.org/campus-life/grandparents-day-registration. Hispanic Women's Retreat » September 30 - October 2, Sara Bullon will be speaking at the Hispanic Women's Retreat held at Glacier View Ranch, 8748 Overland Rd, Ward, CO 80481. For additional information, contact Patty Rivera at 303-910-3548. Give Them Hope Health Summit » Learn how to reflect God's character in health ministries through ongoing support at the Give Them Hope Health Summit, held October 13-16 in Breckenridge, Colorado. Through the acquired skills of ongoing support, you can bring hope to your church and community through the prevention and reversal of diseases such as heart disease, cancer, Type II diabetes, and Alzheimer’s. For more information about this health summit, visit our website at http://www.rmcsda.org/hope or call the RMC health ministry department at 303-282-3604. Mile High Academy Annual Auction » Save the date of Sunday, October 23 for MHA's annual auction at Denver Museum of Nature & Science, A Night at the Museum. More information will follow. Proceeds go to student aid. 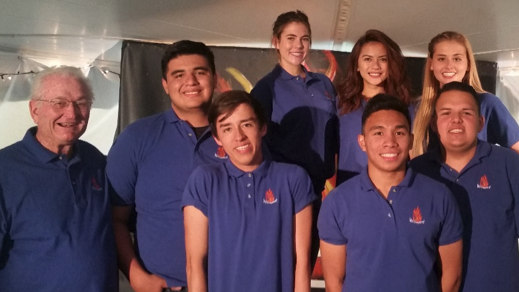 Teen Preachers Uplift Christ During Wildfire II in Greeley » Fourteen people united with the Adventist Church after a fifteen-night outreach series given by Campion Academy students July 29 to August 13. Held in an open-air tent on The Adventure Church property in Greeley, four baptisms followed with two joining by profession of faith and eight attending baptismal classes in preparation for baptism. Trained through RMC's Kaleo project during which students preached in more than 50 churches in Ecuador, Costa Rica and the Dominican Republic over the past four years during mission trips on their spring breaks, these were the first community outreach meetings held in our conference that were presented by teens. 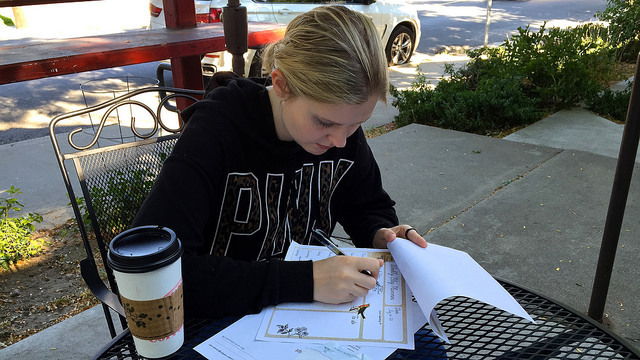 These teens are learning to deal with unforeseeable complications. One stormy night during the Costa Rica mission trip, the microphone system went out followed by the screens, both in the middle of Chezney Barry's presentation on the Sabbath change. Wildfire I was held on the Campion Academy campus May 7 - 19 and resulted in 14 baptisms, all teens. Recognizing the truth of Jesus' words in John 14:6, "I am the way, the truth and the life; no one comes to the Father except by Me," Mandy, a Taiwanese baptized during that series, declared, "I will take Jesus to my family and friends." She has a non-religious father and a Buddhist mother. A team of seven students mentored by retired evangelist Phil Jones united with The Adventure, Greeley, Greeley Spanish and Windsor (Elmshaven) churches in this outreach. 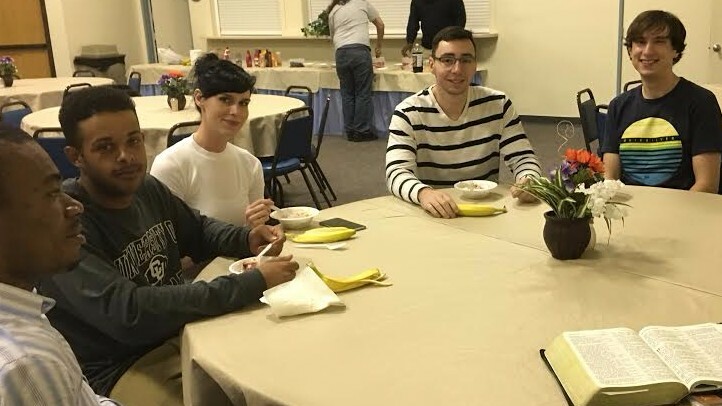 With no senior pastors available due to pastoral moves, special thanks go to associate pastor LeeLee Dart and the team support from the Greeley Adventure Church. Attendance ranged from a high of 120 to a low of 35. The teens preached many new sermons and developed skills in daily home visitation. Wildfire II also ran a nightly children's program organized by Marlene Poole from The Adventure Church. Their numbers grew each night as neighborhood kids came to hear fascinating Bible stories and songs, play Bible games and create crafts. The majority of those uniting with the Church were teens from public schools who have relatives in the Seventh-day Adventist Church. Teens attract teens to Jesus and conversion leaves healthy Christians in its wake, leading the Church into the future. Adventist Community Services and Disaster Response Respond to Louisiana Flooding » Three members of the Rocky Mountain Conference are heading to the affected area of Louisiana. Valerie Lowell of the Grand Junction Church will leave within the next few days to assist the Arkansas-Louisiana ACSDR Director with the establishment of the multi-agency warehouse. Cathy Kissner, RMC ACSDR Director and June Spaulding of the Fort Collins Church plan to travel in mid-October to relieve some of the staff of the multi-agency warehouse for several weeks. 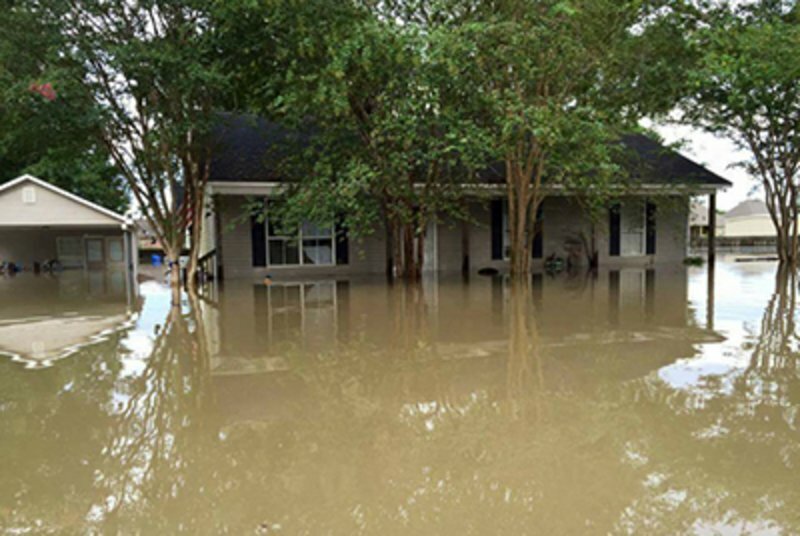 ACS is actively responding to the historic flooding in Southern Louisiana where many areas received more than 30 inches of rain and Red Cross shelters are housing more than 10,000 evacuees. The Baton Rouge Spanish Seventh-day Adventist Church reported 90 percent of its members affected, some evacuated by boat, some stranded at the Baton Rouge Spanish Church and others housed at the Kenner and Metairie churches in New Orleans. Asked to open a multi-agency warehouse to accept undesignated donated goods for survivors, ACS will sort, inventory, store and make available these goods to authorized distribution centers that serve the survivors. "They are still flooding, still doing search and rescue," explains Cathy. "We will be helping the people affected by the flooding to establish a new normal. The recovery phase could go on for 8-12 weeks. These people, as well as those responding, need your prayers." Several churches in Arkansas and Northern Louisiana have opened collection centers to gather much-needed emergency items which will be distributed by ACS volunteers. Trucks began leaving the Arkansas-Louisiana conference office earlier this month with supplies for Baton Rouge and South Louisiana. This is a secure site for online giving. Click on ARKLA Flood Relief to donate to the local Flood Relief in Louisiana. What This Summer Taught Me » From standing on the top of Hong Kong's skyscrapers and stumbling through the rainforests of Sabah, Malaysia, to settling in the quiet Adventist community of Bronco nation, this summer has been nothing short of adventurous. Along the way, I've gained valuable life lessons. Study Tour Wiles: The rainforest will change you. I defeated all odds and survived two weeks in the middle of a rainforest, plucking leeches, befriending mosquitos, squashing scorpions, stomping roaches, sweating to dehydration. Here, I saw the best and worst of my friends. We laughed, we cried, we fought, we hugged. I taught a classroom of first and second graders on a half-hour's notice with no lesson plan. As it turns out, I don't hate kids. And I'm not teacher material. Also, I'm not awful at playing soccer against their mothers. The celebrity life is not hard to come by in an Asian country. If you're blonde, you need to be open to people touching your hair. In fact, they'll likely think you're from England. The death of a close family member is traumatic, but not as bad as you might imagine. I know my beloved is sleeping in Jesus and His face will be the first she sees at the resurrection. 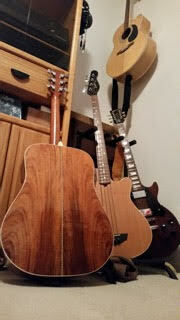 RMC Intern Gigs: Chris Blake, thank you for recommending me. My dream job does exist, and copy-editing is my calling. RMC empowered me to build on my strengths and weaknesses, and receive support from a hospitable, friendly team. Communication staff don't need to be sane to know what they're doing. Thinking outside the box is encouraged. Your conference president may in fact be an "extreme sportsman," and almost drive you off a cliff while Jeeping. Despite common belief, professors are instrumental in your success. I can defend my faith, even when it's hard. Jesus hasn't given up on me. Introducing Chanelle Watson » If you visit the RMC office and seek to meet with President Barnett, Eric Nelson, George Crumley or Craig Carr, you will first need to receive the good graces of the Executive Assistant, the keeper of appointments, Chanelle Watson. 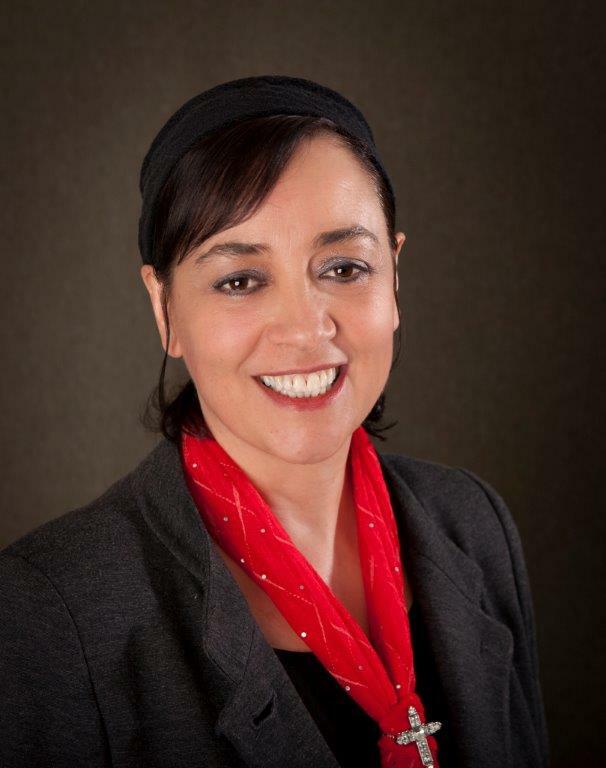 Chanelle began her reign of grace at RMC on January 4, 2016, after having first served corporate America for over 20 years. The Bahamian native brings with her a wealth of experience, knowledge, expertise, and a young family. "A few years ago, while working in Minnesota, I felt a pulling toward working for the Church," she explains, peeking up from behind her monitors. "I didn't know what capacity I wanted to serve in, but I knew I was done with corporate America and wanted to work more for the denomination." Her calling led her back to her alma mater at Union College where she worked for nine months. Chanelle relocated to Colorado and found herself back in corporate America at Children's Hospital of Colorado as a Legal & Risk Analyst. Chanelle still felt a strong tugging in her heart to work for the Church and to be around people with the same Christian beliefs. She eventually applied to The Rocky Mountain Conference, and as all positions were full, her resume was put on file for over two years before she was invited for an interview. Chanelle graduated from Union College with a degree in Business Administration and a degree in Office Management. She later went to England where she obtained her law degree. 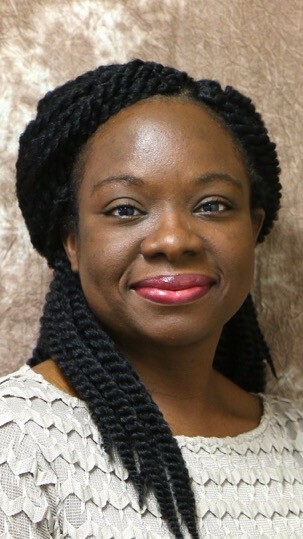 She returned to the Bahamas with her law degree in hand, but ventured back to the United States to obtain her Master's Degree in Business Administration. Chanelle and her husband Dale live in Aurora, Colorado with their three active teenagers, Jefferson (17), Gabrielle (16), and Natasha (14). "They are the joy of my life," she shares. So, if your journey takes you to the RMC office or to the Adventist Book Center, take a moment and meet the soft-spoken, ever-charming and smiling Chanelle. It will be worth your time! Global Health Initiatives Inaugural Photo Gallery » Inaugural photo exhibit at Porter Adventist Hospital, August 2016. Grandparent's Day » Grandparents of Mile High Academy students are invited to spend the day at Mile High Academy with your grandchild. You will have the opportunity to eat breakfast, attend a special chapel, visit your grandchild's classrooms, meet their teachers, and more. This 8:30 a.m. to 3:30 p.m. September 27 event is your opportunity to become better acquainted with your grandchild's school world through a peek at their day-to-day experience. For details or to save your spot, call us at 303-744-1069 or save your spot online at milehighacademy.org/campus-life/grandparents-day-registration. Awaken Wyoming Testimonies » Per request and as seen at the Wyoming Camp Meeting, July 16. Mills Spring Ranch Summer Camp » Watch our new Glacier View Ranch summer camp promo video at rmcyouth.org/gvrpromovideo. For more information, go to rmcyouth.org/camp or visit the new website at http://www.glacierviewranch.com/. August 30, 9:30 a.m. - 12:30 p.m.
September 20, 8:30 a.m. - 9:30 a.m.